Today we're starting something that we think you'll love. 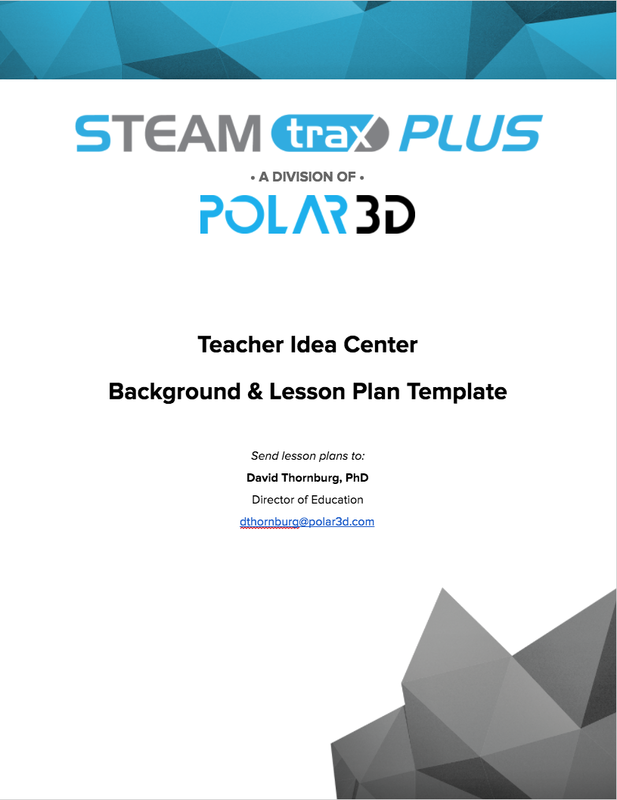 This is the first in a monthly series of projects in the STEAM (science, technology, engineering, arts, and mathematics) education areas written by David Thornburg, that we want you to try with your class! They involve the design and construction of projects that can be used to explore a variety of topics. Our emphasis is on the design process and we'll primarily focus on two excellent free design tools suitable for students at most grade levels: Tinkercad and BlocksCAD. These entry-level tools are cloud-based, and accounts are free. As you work with these projects, we want to hear from you! Especially if you have cool ideas for new projects, and ways you have extended these projects in your own schools. Have fun and enjoy David's first project: Sea Shell Spirals! Sea shells are amazing objects to explore. Young children enjoy finding them, exploring their colors and shapes. They even hold large ones to their ears to “hear the ocean.” This project explores the spiral shape of many shells, with special focus on shapes similar to that of the chambered nautilus― a cephalopod whose shell is an equiangular spiral. In this project, you will build 3D-printable shapes of quarter circles with different sizes based on Fibonacci numbers (connecting this activity to math) that, when assembled, produce a spiral similar to that of the chambered nautilus. These shapes will be made using Tinkercad. Fibonacci numbers are generated from a simple calculation and show up quite commonly in nature. Starting with the numbers 1 and 1, the next number in the series is the sum of the previous two numbers. This gives us 1, 1, 2, 3, 5, 8, 13, 21, and so on. Our project will use quarter circle pieces whose width is based on Fibonacci numbers. We will start with two quarter circles 10 mm across, and add more from there. If you'd like to download the entire lesson as PDF for usage in the classroom, use the link below! 1. Using Tinkercad, drag a cylinder to the workplane and drag the ruler tool onto this plane as well. The reason for using the ruler is that it lets us enter numbers for sizes as text rather than having to drag a corner of a shape by hand which sometimes is hard to control accurately. 2. Make the cylinder 20 mm in diameter by entering these numbers in the text field associated with each side on the x-y plane. 3. Change the height of the cylinder to 5 mm and drag a box onto the workplane. 4. Set the box dimensions to 25 mm on a side, with a height of 7 mm. 5. Use the black triangle at the top to lower the box beneath the workplane by 1 mm. 6. Using the arrow keys, move the box so the left edge is at the center of the cylinder. If you don't get it the first time, you can fix it later. 7. Copy and paste the box and use the arrow keys so the upper edge is at the center of the cylinder. 8. Select both boxes and turn them into holes by clicking on the hole button in the Inspector window near the top right of the workplane window. 9. Select all three objects and choose the Group button at the top of the screen. This will leave you with just the visible quarter circle. 10. If the dimensions are not exactly 10 mm by 10 mm, Ungroup the object, move the boxes to the right place, and Group everything again. 11. Change the piece height to 3 mm. This completes your basic piece, and everything else is made from copies of this. 12. Copy and paste your first shape, move it to the right and click on the rotate symbol (the red curved arrow shown below) and drag the piece by 90º. 13. Use the arrow keys to move the piece to the right, leaving a small gap with the first piece. 14. Copy and paste this piece and move it down a bit. 15. Change the dimensions to 20 mm, rotate the piece 90º, and move it to clear the pieces you already made. 16. Repeat this process with a size of 30 mm. 17. Repeat this process with a size of 50 mm. 18. Repeat this process with a size of 80 mm. 19. You now have enough pieces to fill your build plate. Change your view so you are looking at the model from the top and adjust any pieces that are too close together. 20. Export your model as an STL file for printing. Print a set of shapes in any color you wish and put them together into a spiral. To my eye, this pattern is very pleasing to the eye. As you can see, using Fibonacci numbers makes everything fit perfectly! Assemble the shapes as shown in the photograph. What would the dimension of the next shape be? If you want, design and build the next shape in the sequence. It will be so large that only one of them fits on the build plate. Compare your shape with that of the chambered nautilus shell cross-section shown below. In what way is this shape similar to that of the Fibonacci spiral you created? In what way is it different? Fibonacci numbers are quite common in nature, but they don't seem to exactly match up for the spiral in the chambered nautilus shell. Why do you think that is? What about garden snails? Are their shells similar to what we made? If you have access to a shell collection, see how many different examples of spirals you can find. Spirals of the kind we just made are called equiangular spirals. For further learning, you can explore the math of these spirals with some help from Wikipedia. "There are very few 3D printer manufacturers who aren’t involved in education to some degree. It’s a refrain we hear again and again: teaching kids about 3D printing is critical, the earlier the better, because it’s the future of every industry. While many companies have included educational outreach in their business plans, others seem to have been formed for the express purpose of putting 3D printers in classrooms. Polar 3D is one of those companies. The Cincinnati-based corporation launched their first 3D printer only a little over a year ago, and they made it clear from the very beginning that their primary goal was to get students interested in 3D printing. "So far, they’ve been aggressively pursuing that goal through partnerships with leading educational and youth-oriented organizations like the Boys & Girls Clubs of America, with whom they teamed up last year to build new 3D printing labs at several club locations. 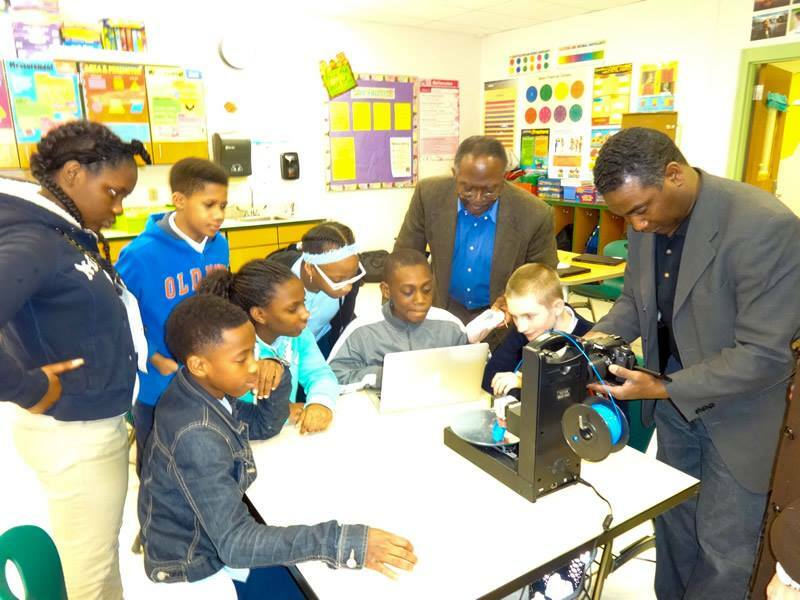 Now Polar 3D is collaborating with Partnership for Innovation in Education (PIE) to develop new 3D printing curriculum for students in Cincinnati-area schools." Read the complete story on 3D Print Magazine.